Paul continues to make a good recovery after being hit by a car while cycling near Pietra Ligure, Italy (see post May 13th). An assessment at the Blusson Spinal Cord Centre at Vancouver General Hospital determined that no surgery will be required, but that recovery can take 6-12 months. Paul is still experiencing some pain in the upper back and shoulders, but this is gradually improving. Not that this is stopping him from resuming his exercise regime, which includes 2-minute planks, much to the astonishment of his physiotherapist. Lois has drawn the line at him returning to running quite yet! 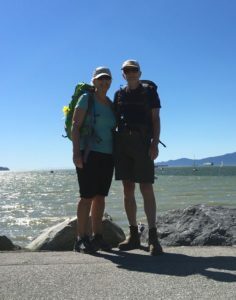 Encouraged by Paul’s excellent progress, we have embarked on a training regime together, with the aim of continuing our trip around the world, initially by foot and public transportation. We expect to return to Italy sometime in the fall. We would hope to be back on our bikes again by the time we reach Australia and New Zealand. In the meantime, we are enjoying precious time with our grandchildren. 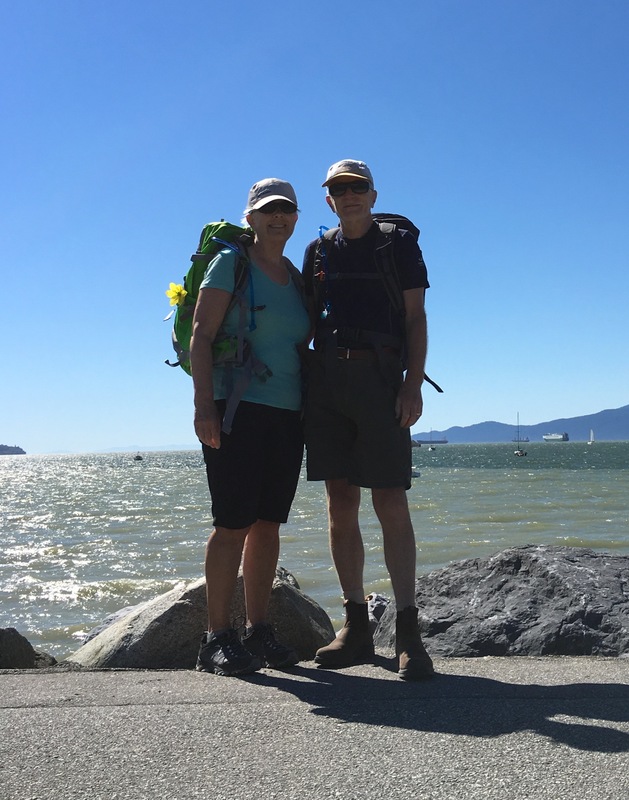 August will be spent hanging out with 2-year-old Alice and 5-month-old Eliot in Paris, and then we will be back in BC to support the family here with a move and adjustment to a new community and schools, including starting kindergarten for 5-year-old Rhys. The PSBC website remains active and we encourage donations at any time! We will blog again once we have a firm departure date for Italy. We wish to express our thanks again for all the supportive comments on the blog, emails and phone calls that we have received. We are sure this has helped speed Paul’s recovery!